This is one of the best known poems in Al-Sira Al-Hilaliya, recounting the amorous liaison between Younis Al-Hilali and Aziza, the daughter of Al-Wahidi Mebed, a Zanati prince. Aziza falls in love with Younis when she learns about his exceptional beauty from a former female slave of his. Younis has just arrived in Tunis, accompanied by his uncle Abu Zeid and his brothers Yehya and Marei. They run out of money and decide to sell a necklace belonging to their mother, Shamma. Younis takes the necklace to the market, where an old woman uses subterfuge to take him to Aziza's palace, promising him that he will be able to sell the necklace there. This story of seduction is reminiscent of the Quranic tale of Joseph with the wife of the Egyptian governor, which explains its added popularity. 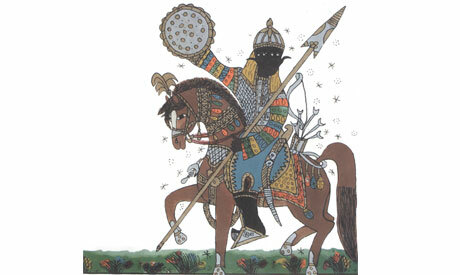 Aziza, having failed to seduce Younis, conspires to keep him and his brothers captive until his uncle, Abu Zeid, pays the blood money for the slaves he killed. This sets the stage for the Beni Helal epic of exodus.